German Christmas markets seem to be the most quintessential European Christmas tradition. With glühwein, potato cakes, crafts, music, and other treats, it just feels like everyone should spend some time around Christmas wandering the well-decorated stalls somewhere in Germany. 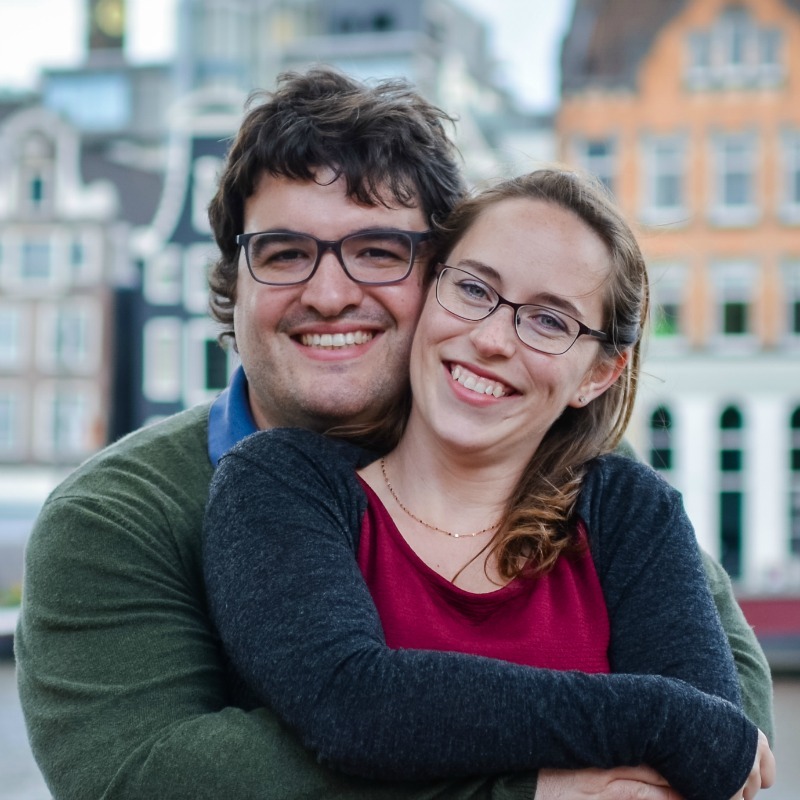 We loved it and are happy to share this post and video of our time in Hannover! Last year we went to the Christmas markets in Cologne, Germany and had a great time, but it was insanely crowded. In Hannover, we appreciated how festive the atmosphere was while still feeling cozy. Contrasted with the hustle-and-bustle of the Cologne markets, this was a welcome change. 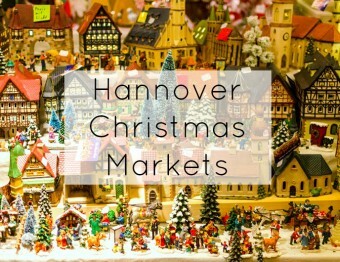 You can feel the Christmas spirit as soon as you walk out of Hannover’s main train station…because you walk right into a Christmas market! Ten meters outside the doors and you can buy a glühwein. So, if you’re short on time, it’s the perfect spot to get some sausages, chocolates, and more before you get back on the train. But that’s just a teaser. Keep walking straight ahead down the main shopping street and you’ll run into a huge Christmas Pyramid! You know those little things you put candles on and the energy from the flame moves the fan-like board above? Well, this is a beautiful life-size version all lit up that you can walk onto! This market flows into a street lined with stalls of all kinds…soaps, glass, toys, chocolate, sandwiches, beer, and so many other things to buy. We seemed to just wander from one market to another; each had their own distinct character. Nothing surprised us quite as much as the man made forest in the middle of town. We were transported into a completely different place. Walk in and be welcomed with the smell of the trees, tables made out of wood in a rugged style, and bars serving more glühwein and beer. It’s a maze of childlike wonder especially when quiet before the evening crowd. If I had a backyard, and could have that, I totally would. Nearby you can admire the woods from across the street in a sleigh while sipping your drink of choice, or keep walking into the Medieval market to practice axe-throwing, buy some mead, or simply enjoy the atmosphere. I’m not kidding about the axe-throwing. Our noses took us on a journey and we found something so completely different and completely delicious, that we were intrigued enough to ask the makers some questions. They were even nice enough to go on camera to describe it! It’s the baumstriezel! Another super fun themed spot was the pirate tent. The mugs were super cool and very different from the other collectible mugs at the markets. We sat and sipped cherry mead and cinnamon mead while we people-watched. Very old fashioned stuff! In the evening, musicians filled the air with songs of times past while spectators stood and warmed themselves by the fire. It really felt like we were transported a couple hundred years back. Hannover knows how to do Christmas markets! 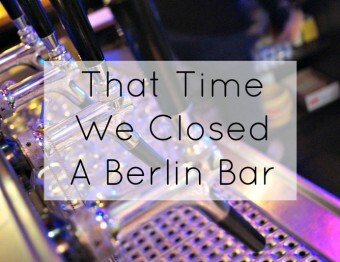 There are so many reasons we loved our days here, and not just because of the food and delicious drinks. The variety of markets was awesome and we had a lot of fun with it. But the best thing we saw while we were there, was a costumed market guy (from the Medieval period), who gave a talk to little kids that were maybe 4 years old. He was so passionate about what he was saying and the kids were loving it! He even interacted with people that walked by and they got involved too. 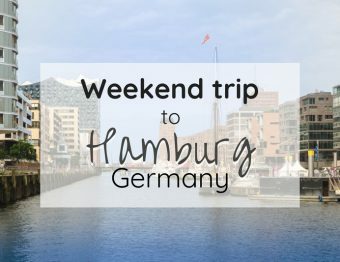 Do we recommend Hannover? Definitely! Less crowds, lots of variety, and if you need a shopping fix, they have the stores you’re probably looking for. All-in-all it was a wonderful experience! 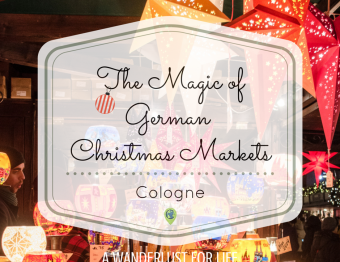 Have you been to a German Christmas market? If so, where was it and what did you love about it? If not, where would you want to go for a Christmas celebration? This sounds like my Christmas DREAM!!!!! How perfect!!! Which was your favorite mead? Cinnamon, definitely! But Sean loved the cherry. Guess that’s why we’re married. We are SO balanced 😛 But my favorite mead is from Hill Top outside Charlottesville. Have you had it? OMG Sarah. You must go the next time you are down there! You had me at glühwein and chocolate! Such a Christmas-y market, even Scrooge would warm up. Just a few mugs of glühwein will warm anyone up! Haha. Katie from What's Katie Doing? I love Christmas markets, but I haven’t been to any in Germany yet. I particularly like the trees everywhere in the market – how magical! OMG I have to go here at Christmas time! It seriously already looked like a storybook village but with all the Christmas decoration it looks something out of a snow globe! I only visited Prague during the Christmas season and swore I’d go back because of how magical it was. I didn’t even imagine how many other places must be just as amazing this time of year throughout Europe! I will be adding this to my list! Oh there are so many places! Even here in Amsterdam there are a few Christmas markets. We’re headed to Prague this year for Christmas and cannot wait to see how magical it looks! Visiting a German Christmas market is high on my bucket list for 2017. I wasn’t able to make it happen this year, but I am hoping to prioritize it next year. I would love to browse through all of the lovely gifts and sip on the beverages and nibble on all of the lovely foods offered in the market. I so want to go! I’m so bummed I wasn’t able to go to the Christmas market this year in Germany. Hopefully next year… I will definitely remember Hannover – it looks like a fairytale and I love that it’s less crowded! I’ve always wanted to spend Christmas in Germany, where the traditions are strong. German Christmas markets have a certain charm. It would be fun to bundle up and wander around. Bundling up is a much! They definitely have that German charm. Will be doing Christmas in Prague this year, so I’m excited to see how the markets differ. Chocolate, sausages, and drinks on the way? Count me in! Looks like a Christmas paradise. All the architecture is to die for too. You got some really beautiful images. Thank you! I’m a sucker for the chocolates and pastries more than the sausages…but it just means there’s really something for everyone. This looks so charming! And cheers to the guy dressed up and enthusiastically entertaining kids! Those kinds of people really make something like a Christmas Market special. Seriously. That guy made MY day! 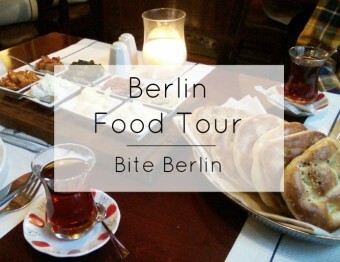 OMG you had me at gluwein & potato cakes!! I have missed German markets since I’ve been in South America, we used to have one in England where I lived – not as good as this one but I still loved it! 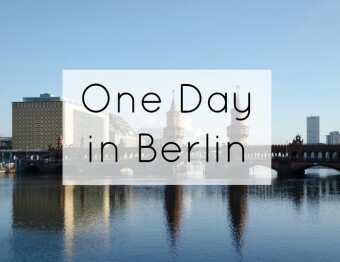 I hope to visit one in Germany one day! For sure, a Christmas market anywhere is better than none. They are just so cheery! Rothenburg ob der Tauber- I have been in summertime, but have been told at Christmas it is especially beautiful. Cheers!